One minute after midnight on Wednesday, March 20, the Walt Disney Company closed its deal to acquire the majority of 20th Century Fox's assets, offering up $71.3 billion in a mix of cash and stocks per the terms of the purchase. Various outlets announced the completion of the Disney-Fox merger, with Deadline relaying that Disney CEO Bob Iger issued an internal statement to current Walt Disney Company employees and the staff just joining from Fox. Entitled "A Historic Day for Our Company," the memo reads in part, "I'd like to welcome our new colleagues, and thank employees on both sides of the deal for your patience and perseverance as we worked through the lengthy acquisition and regulatory process … As you know, Disney has never been short on ambition. We've never been satisfied with the status quo, and our vision for this transformative era is our boldest yet. We are rapidly transforming our company to take full advantage of evolving consumer trends and emerging technology in order to thrive in this new and exciting time. Our acquisition of 21st Century Fox was driven by our strong belief that the addition of these great businesses, brands, franchises and talent will allow us to move faster, reach farther and aim higher — especially when it comes to building direct connections with consumers." Iger noted that there will be "challenging work" ahead in uniting Disney and Fox, but assured that the Walt Disney Company is working diligently to provide answers as to if and how certain employees' roles post-merger will be affected. 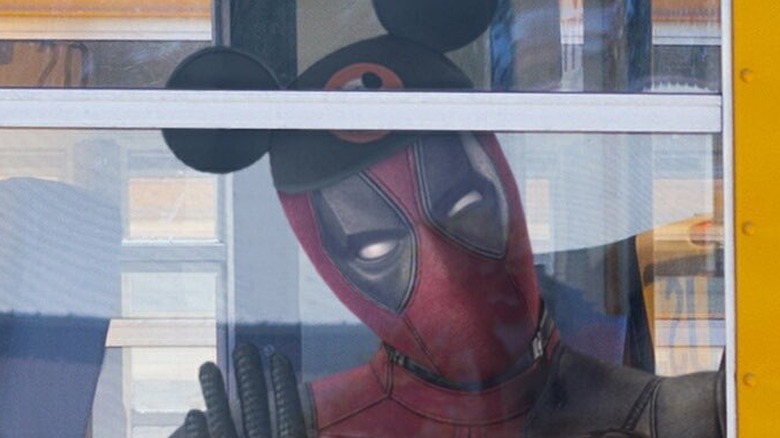 It's expected that Disney's acquisition of Fox will result in a staggering 4,000 layoffs, which has sparked anxiety and uncertainty at the new, bigger House of Mouse. "Our integration process will be an evolution, with some businesses impacted more than others. Our integration process will be an evolution, with some businesses impacted more than others. We've made many critical decisions already, but some areas will require further evaluation. We may not have answers to all of your questions at this moment, but we understand how vital information is, and we're committed to moving as quickly as possible to provide clarity regarding how your role may be impacted," Iger said. "I wish I could tell you that the hardest part is behind us; that closing the deal was the finish line, rather than just the next milestone. What lies ahead is the challenging work of uniting our businesses to create a dynamic, global entertainment company with the content, the platforms, and the reach to deliver industry-defying experiences that will engage consumers around the world for generations to come." Iger concluded the memo by asking for employees' patience as the company consolidates the assets it bought from Fox. "Having been on both sides of numerous acquisitions during my career, I have a deep appreciation for how this one impacts everyone involved, on both a personal and professional level. I understand the challenges, and I ask for your continued patience in the days to come as we combine this collection of great assets to create the world's premier entertainment company," he said (via The Hollywood Reporter). Shortly after the deal closed, the official website for the Walt Disney Company got a makeover, its homepage displaying photos of properties previously owned by Fox sitting next to iconic Disney characters. Bart Simpson of The Simpsons (formerly owned by 20th Century Fox TV) is right by Captain Marvel, a member of Disney subsidiary Marvel Studios' cinematic universe; Jake and Neytiri from Avatar (distributed by 20th Century Fox) are nestled beside Woody from Toy Story; and Deadpool, the Merc with a Mouth who added style to Fox's Marvel movie world, is seen next to Mickey Mouse himself. 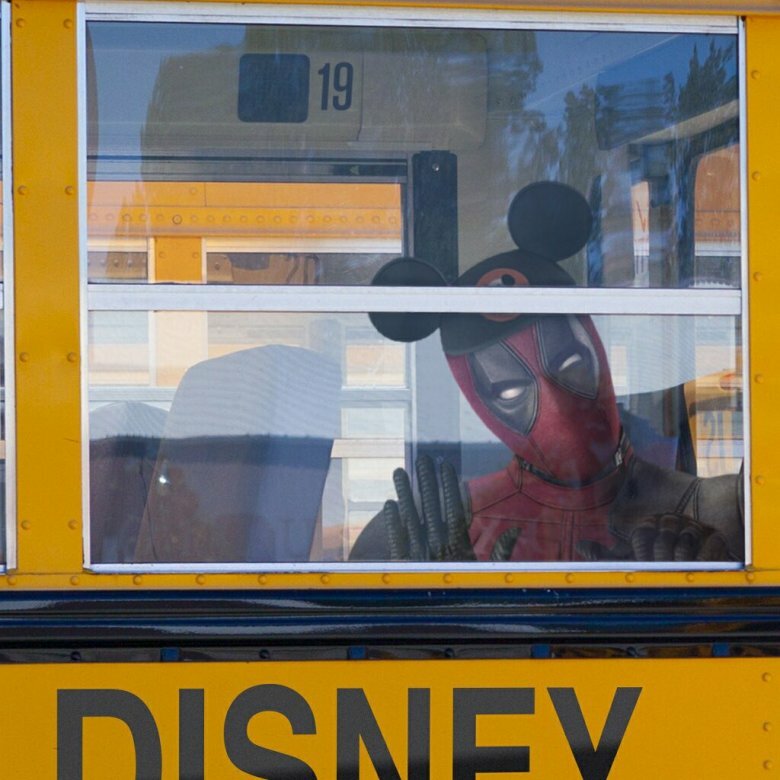 To celebrate the acquisition, Deadpool actor Ryan Reynolds posted to his Twitter account a photo of Deadpool wearing a pair of Mickey Mouse ears while riding in a Disney school bus. "Feels like the first day of 'Pool," he wrote in the caption. Take a peek above, then see the full snap at the bottom of this article. For those behind on the Disney-Fox business, the magnitude of this acquisition truly cannot be overstated. From the outside, it seems like the Fox film studio is colliding with Disney's movie-making arm of production, but that's just the tip of the iceberg. Disney has absorbed all of Fox's movie companies — 20th Century Fox, 20th Century Fox Animation, Fox Family, Fox Searchlight Pictures, Fox 2000 Pictures, and Fox Studios Australia — plus took ownership over the Fox Television Group, which includes 20th Century Fox TV, Fox 21 Television studios, FX Networks, and National Geographic Partner. It also acquired Star India, nabbed a 60 percent stake in Hulu and a 30 percent cut of Tata Sky, and scooped up various international Fox Networks Groups. Essentially, the Mouse House was already incredibly powerful with its own content and grew stronger when it acquired Marvel Entertainment in 2009 and Lucasfilm in 2012. Now that it has Fox's assets in its possession, Disney stands even taller as one of the most prominent media conglomerates in the world. What most are excited for regarding the Disney-Fox merger, however, is how it will impact the superhero sectors of each company. Since Disney has purchased Fox's film studios, it also bought the characters that lived within the company's movie universe. Several kickass heroes and dastardly villains now call Disney home — from Deadpool to Silver Surfer to the members of the X-Men team to the Fantastic Four and many, many more. Marvel Studios president Kevin Feige has indicated that Disney's acquisition of Fox won't directly impact the Marvel Cinematic Universe for at least a few years, as Marvel has plans for a handful of upcoming films mapped out in advance. "Certainly it won't impact the five movies we've announced, and it probably wouldn't impact anything for a handful of years after that. Because really, we're not thinking about that. We're thinking of delivering on what we promised," Feige explained in April of last year. That said, though, change will come eventually. Feige is slated to get to work on reshaping the X-Men movie franchise as quickly as possible. Longtime X-Men series producer Lauren Shuler Donner previously confirmed that Feige is taking over the franchise post-merger, and that he's interested in selecting a new actor to portray Wolverine (the mutant originated on screen by Hugh Jackman) in the MCU. When exactly the face of the MCU will change as characters once owned by Fox start to mingle with Disney's Marvel heroes remains to be seen. While it's been reported that Walt Disney Television chairman Peter Rice will hold a meeting with the incumbent and new Disney staff members working in the television divisions sometime next week, we haven't heard so much as a whisper about if and when a high-level executive will address the film divisions. It's a waiting game for now.